7 customers have given this product a 5-star rating. If you're looking for a great gong, look no further. I have to be honest, I've not tried many gongs over the years, music shop don't seem to have a large selection available :-). 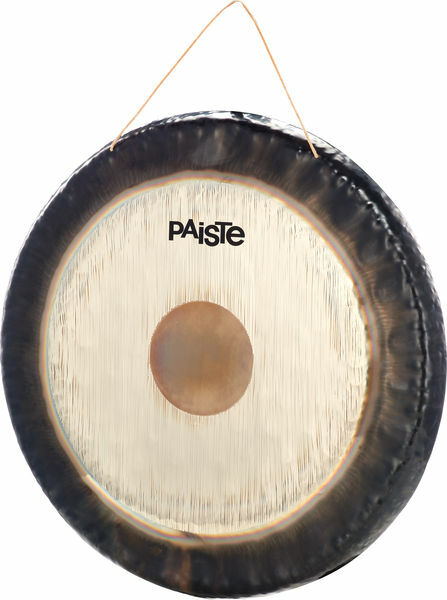 But I've tried a few, and landed on the Paiste gong. the 28" in size is just perfect for me, nt too big, but a big sound! And the sheer diverseness in sounds you can get out of it, depending on where, how hard, and what you use to hit it with (soft mallet, hard mallet, sticks etc), there is a large amount of different soundscapes one can create. I started out just bashing it for the great startup/ending effect is has on songs, but after experimenting, there is so much one can do with this. The symphonic Gong from Paiste is the favorite for drummers like john Bonham, Brian Downey, Alex van Halen (all my heroes) just adds to the magic of this instrument. Great sound and overtones that you expect from Paiste Tam Tams...a good size too as it can be used in many styles of music such as orchestral, brass band, wind band and ensemble work. ID: 197034 © 1996–2019 Thomann GmbH Thomann loves you, because you rock!